Phillip Dorsett has only been with the Patriots since September 2, but he's already making an impact with his new team. Due to injuries, New England could only dress three wideouts for the game, putting extra pressure to perform on the former first-round pick. In short, he lived up to it, posting 68 yards on three catches in 32 snaps. At first glance, that might seem like a rather pedestrian stat line. 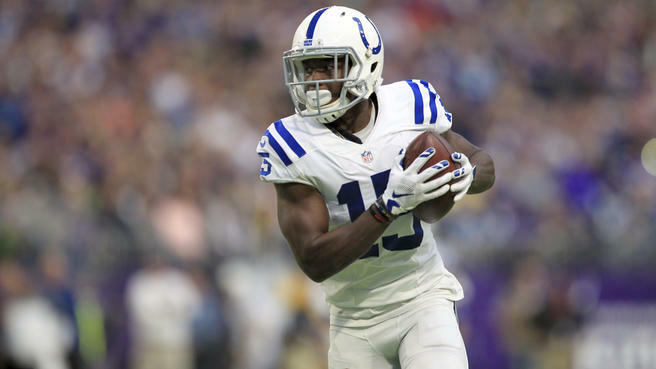 But while he might not have been the team's most influential receiver on a day when Tom Brady threw for over 440 yards, Dorsett's performance was one of the best of his career. For starters, he only recorded seven games with three or more catches while with the Colts, his former team. As PatsPulpit pointed out, that number looks even worse considering he only caught around 50% of the balls thrown his way while in Indianapolis. On Sunday, he was only targeted three times but managed to haul all of them in across all levels of the field. While he's known for his game-breaking speed, Dorsett also showcased his ability to run after the catch on a seven-yard screen early in the fourth quarter and demonstrated some more advanced double moves on a 21-yard chair route grab. Instead of being used simply as a clear-out man to drag defenders deep, as he was against the Chiefs in Week 1, Dorsett demonstrated a clear command of the attack on Sunday--one that may translate to even more targets as the year moves on. But for all his improvement in his route-running and grasp of the playbook, the Pats traded for Dorsett because of that electric speed. He got the opportunity to show that off on a 38-yard corner route with around 10 minutes to go in the fourth. Lining up in the slot, he took off and simply outran his assignment before fading outside, away from the safety help down the middle. As Brady released it, Dorsett did a fantastic job of adjusting to the ball's path and boxing out two defenders to make the catch in stride. It was a tantalizing look at his potential, and his longest catch as a Patriot so far. Dorsett has only ever recorded one game with more receiving yards than yesterday: September 11, 2016, where he racked up 94 yards against the Lions. But considering this was only his second game in a Patriots uniform, his stat line against the Saints looks far more impressive. He exited the contest in the fourth quarter with a knee ailment, but with a little luck he should be able to play against the Texans next week. It's a massive break for New England: in just a two-week span, Dorsett has gone from being little more than an afterthought to a key cog in a vertically-oriented aerial attack.